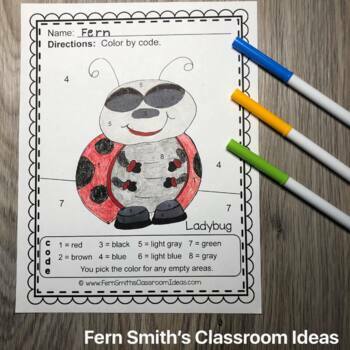 FIVE Color By Numbers Spring Bug Fun Know Your Numbers Your students will adore these Spring Time Color Your Answer worksheets while learning and reviewing important skills at the same time! You will love the no prep, print and go ease of these printables. As always, answer keys are included. 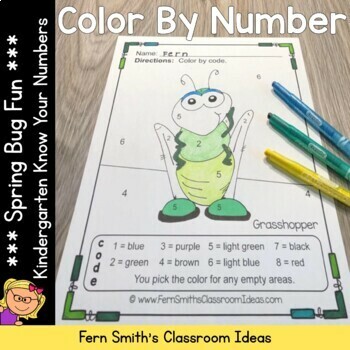 Color By Code Spring Bug Fun with Numbers - Color By Numbers Printables for some Spring Math Fun in your classroom! FIVE No Prep Printables that can be used for your centers, small group, RTI pull out, seat work, substitute days or homework, answer keys included too! Click here to buy Numbers and Colors bundled together. Numbers: Numbers Concentration, Go Fish and Old Maid Center Games - Three Number Games in One! 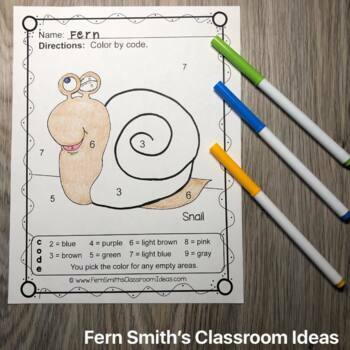 Click here for ALL my Color for Fun Resources! 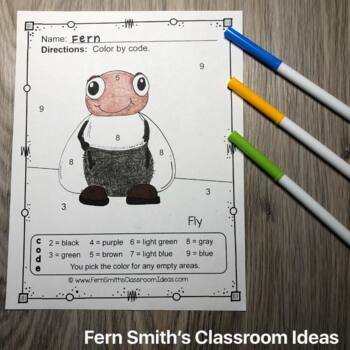 © Fern Smith's Classroom Ideas.